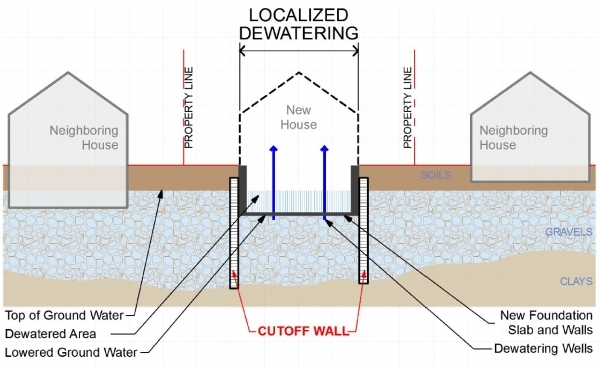 In localized dewatering, illustrated in this diagram, builders construct cutoff walls to limit the area from which groundwater needs to be pumped. In 2017, three projects used this technique, which resulted in no water getting discharged into the city's storm drains. Diagram by Save Palo Alto's Groundwater.